From The Roof Down In Residential Renovations: Innovative Storm Window Solution! Winter is here. Don't Want to Replace Your Windows? Why Suffer? 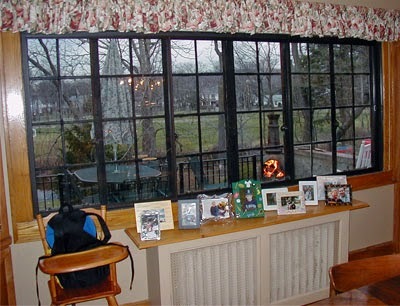 Residential Renovations is now proud to offer Innerglass Interior Storm Windows! Innerglass interior storm windows are significantly more effective at insulating your home and lowering your heating and cooling bills than a traditional outside storm window. In fact, the Innerglass window is 5 times tighter than an exterior storm because the outside storm must be ventilated to get rid of the condensation that has already happened. In contrast, our interior storm is so tight it provides a vapor barrier on the warm side that stops the condensation in the first place. Listen to what one of Residential Renovations' customers thinks about her new Innerglass Interior Storm Windows! Or visit our website at www.LocalResidentialRenovations.com!